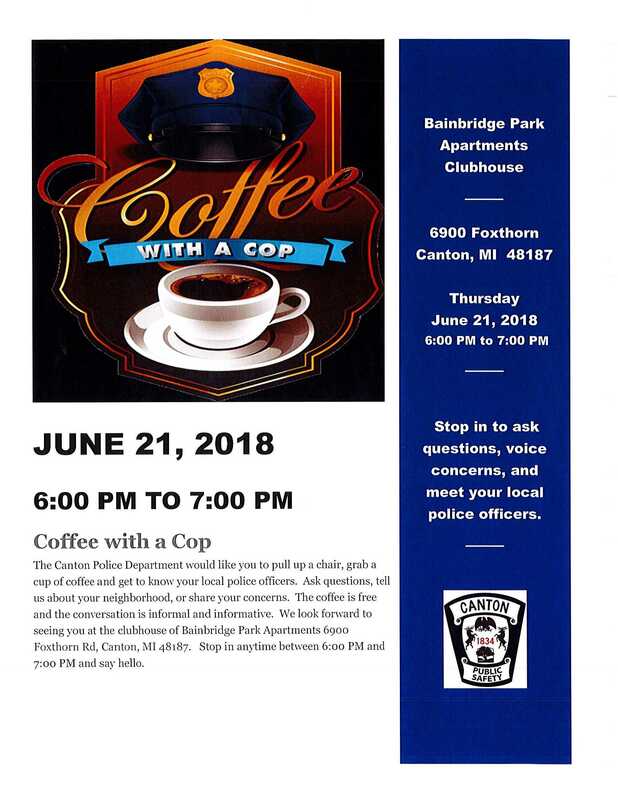 Please join us on Thursday, June 14th at Canton Club Apartments or Thursday, June 21st at Bainbridge Park Apartments from 6:00-7:00 PM for Coffee with a cop. The event is open to anyone and everyone. You will be able to sit down with the Canton Township Police Department and ask any questions and bring up any concerns you may have. This is also a great opportunity to thank them for keeping us all safe! We hope to see you there! !